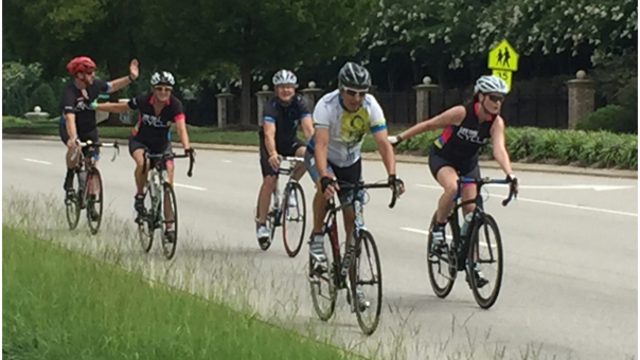 RALEIGH, N.C. (WFMY) — A new proposed bill could impact North Carolina bicyclists. House Bill 157, sponsored by Wilkes County Rep. Jeffrey Elmore, would require bikes driven on North Carolina roads and highways to be registered at the DMV. Requiring that bicycles used, by a person 16 years or older, on a public street or highway be registered with the Division of Motor Vehicles (DMV). A certificate of title is not required. Sets the registration fee at $10 and requires that the fees be used for bicycle safety related projects. Requires DMV to issue a registration card and suitable plate. Violations are an infraction punishable by a fine of not more than $25. Effective Dec 1, 2019. Requires issuing warning tickets only for the first six months." Nicole Lindahl with Bicycling in Greensboro, Inc. (BIG) is adamantly against the proposed bike registration bill. "It’s a regressive tax that is going to put a terrible strain on those with lower incomes and no income, those who depend on bicycles for their modes of transportation," she said. Lindahl said those who already can't afford a car would have to worry about their bike too. "People without transportation that are getting a bicycle because they need to get from A to B are going to have a much harder time to get to the DMV to get their bike registered." The bill states the $10 registration fee will go toward North Carolina Department of Transportation safety projects like bike lanes and helmet grants for children. One Greensboro cyclist WFMY News 2 spoke with likes the sound of that. "I think it's just nothing, $10 is what, a pizza? Haha! I think it will be great." But there is plenty of opposition. "Why put up a roadblock to people exercising?" one rider asked. Lindahl said the bill would also negatively impact tourism in the Triad and state of North Carolina. "Tourism is something that has been an issue when they have tried this in other places, this has been tried numerous times," Lindahl said. "A couple of the places were Kansas City, New Orleans, and it was found that when people came from other places they couldn’t bike, they had to go to a police station first and pay to register their bike and attach this license onto it." WFMY News 2 has reached out to Rep. Elmore to give him the opportunity to talk about this bike registration bill. He has not responded.